Now is the time for kids that are off to college to prepare to leave. The fall classes are just around the corner and the parents and students are doing what they can to get their belongings and their furniture ready to go. For many students this is the first time that they will be away from home and will need to start making good decisions. One thing that needs to be talked about is the ever present bed bug problem. It can be difficult to think about when running to and from class and trying to study but there are some ways that they could put themselves in danger and things they need to do to help prevent these blood sucking insects. 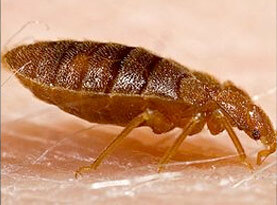 Getting a call that your college student has a bed bug infestation is the last thing that you want to hear. Bed Bug Prevention: One of the things that you want to be aware of is where you place your belongings such as jackets and clothing. They are a great place for a bed bug to jump aboard and take a ride back to the dorm or room. They can get on your items from a fellow student that has been infested with bed bugs. Also be sure your student is aware of furniture that is left on the side of the road. It is never a good idea to go out and collect furniture that has been left out. The biggest problem is that you cannot be sure of the cleanliness of the furniture you are picking up. It could have bed bugs and if bought back to your dorm room, they can spread out. Another item that is with your student all the time is their backpack that has their study material and books in it. When they go to class it can be easy to set it down with other bags but it is best to keep it safe and away from the other students. 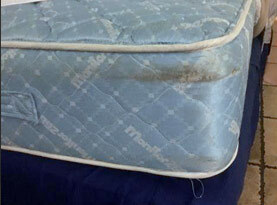 You don’t want to put the bag next to another bag that has the potential to be infested with bed bugs. Bed Bug Inspection: When you arrive at your new room you want to do a really good inspection before you take any of your belongings in. 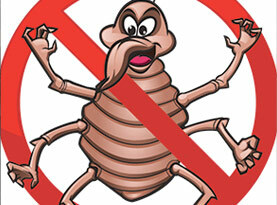 Check through the carpets, rugs, furniture and other items in the room for signs of bed bugs. You can also add bed bug encasement covers to your bed and pillows to keep bed bugs from nesting on your bed. Be alert and aware of where you are and who is coming in and out of your room. Clean and check any clothing that you pick up from a store or a friend to ensure that they are clean before bringing them into your own space. 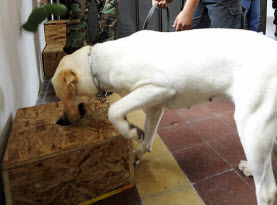 Visual & Canine Bed Bug Inspections, Heat & Chemical Removal Treatment in Greater Cleveland area as well as Akron, Canton, Solon, Parma and NE and NW Ohio. Call Bed Bug Free for all your bed bug inspection and removal needs!